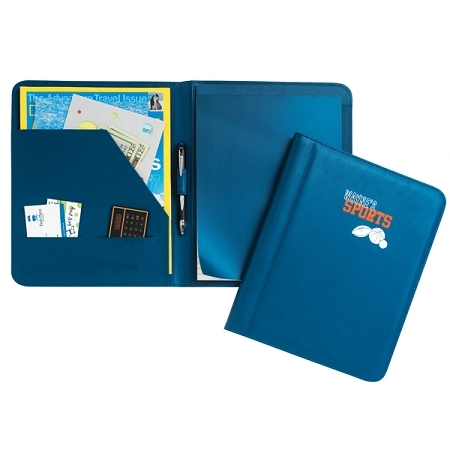 Conference Padfolio available in 10 colorful "branded" choices. 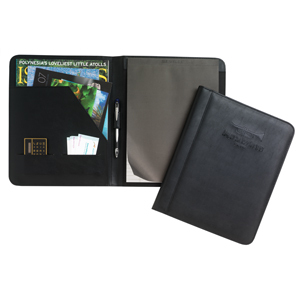 Perfect For Taking Notes At Those Important Meetings. Made with UltraHide Simulated Leather that has the look and soft feel of rich nappa leather. Sleek turned edge construction to keep padfolio looking nice longer. AVAILABLE COLORS: Black, Blue, Green, Royal, Red, Burgundy, Tan, Orange, Purple, Brown.